A decision was taken that a Federation of All India Auto Parts Dealers’ Associations in India should be formed and that the Bombay, Calcutta, Delhi and Madras Associations should become Founder Members. Associations in other town were to be enrolled as Associate Members. A Constitution Sub-Committee was appointed and contribution amounting to Rs. 1,300/- were collected from the Four Associations for meeting the preliminary expenses. Few meetings of the representatives of various associations were held thereafter to give some shape to the Federation and to draft the Constitution. A Joint meeting of all these representatives was held alongwith other DMTA Executive Committee members to discuss and further consider the set up and formation of the Federation. The matter continued to move till the holding at Bombay on 12th January 1953 of the Tariff Commissions First Public Inquiry in the question of assistance or protection to the automobile industry was held. On the eve of this Inquiry Meeting at Bombay, the representatives of three Trade Associations again met to discuss the Federation plans. Strange, as it may seem, it was after this meeting that the chapter regarding the formation of All India Federation was closed for the time being. On 11th January 1955 another Conference comprising delegates from Vehicle Manufacturers and Assemblers, State Transport Undertakings, Parts Dealers Associations and other Government officials was convened in New Delhi by the Ministry of Commerce and Industry, Government of India, to consider the possibility of reduction of spare parts prices. Mr. H.V. Iyengar, the then Secretary to the Ministry presided. At this Conference, the Ministry wanted the formation of Federation of Spare Parts Dealers Associations at the earliest in case the same did not already exist and the Government officials were informed by the Trade Representatives that the Parts Dealers Associations were already working out a Federation plan. Mr. Iyengar had urged to expedite the formation of such a body and had assured that the Government was prepared to extend all help in the formation of the Federation, if necessary. The thread was again taken up where it was felt. A Joint Appeal on behalf of BMMA and DMTA was addressed to 23 different Motor Parts Dealers Associations in India, explaining to them the urgency for formation of an All India Federation. A rough draft of the proposed Constitution was also circulated. The things unfortunately moved at a slow pace. The efforts, however, continued but that enthusiasm, which was witnessed during the first part of the decade was somehow lacking. During this period of 12 years, 1950-62, many of the stalwarts could rightly be called the architects of the Federation did not live to see their dream come true. They are Late Mr. D.S. Kalyanpur, Bombay, Mr. A.K. Choudhary, Calcutta, Mr. B. Mukherji, Calcutta, Mr. Prem Nath, New Delhi and Dr. Trilok Singh, Delhi. It took about further six years to finalise the draft Constitution of the Federation and to get the same approved and adopted by the respective associations at Bombay, Calcutta, Delhi and Madras. It was on January 12, 1962 that the Federation was registered under section 25 of the Indian Companies Act, 1956 under registration no. 3623 with the four Associations of Bombay, Calcutta, Delhi and Madras being its Fonder Members. As decided, the First Statutory Meeting of the Federation was held in Delhi on 2nd June 1962. Thus was born the Federation of All India Automobile Spare Parts Dealers Associations, which was dream of 12 years back had now become a reality and had seen the light of the day. The objects for which the Federation was established amongst others are to promote and develop co-operation amongst firms and companies and associations connected with the automobile spare parts trade and industry in India and to support and protect the interest of the automobile spare parts and allied trades and of those engaged or interested therein including the interest of the manufacturers, importers, exporters, wholesalers or retailers and workshop owners. 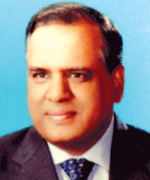 The Federation had been able to play its role in eliciting the views of the trade in the matters of import, export, sales tax, distribution of indigenously produced automobile spare parts and various procedural matters consistent with the Government policy and had tried to improve upon the authorities concerned for taking proper actions. When the import of Ball, Roller and Tapered Roller Bearings was canalized through the State Trading Corporation (STC), the import licences were being issued to individual agents and organizations in the trade. After the formation of the Federation, it undertook to persuade the STC to issue the import licences for bearings to the Constituent Members of the FAIASPDA. As a result thereof, the STC had agreed to get issued 40% of the value of import licences of Ball, Roller and Tapered Roller Bearings to the Member Associations affiliated to the FAIASPDA. The Federation originally consisted of only four Founder Member Associations from Bombay, Calcutta, Delhi and Madras and subsequently more members were enrolled and the Constitution of the FAIASPDA continued to be amended in accordance with the requirement of the changing times to enable the various associations related to automobile trade to enroll themselves as members of the Federation. As such the Constitution now provides for the admission of associations of the parts dealers of Tractors, Two and Three Wheelers, Tyres, Agricultural Machinery, Industrial and Earthmoving Construction Equipment and Ball Bearings etc. which can also become members of the Federation. Even individual firms can now be enrolled as members. These amendments now ensure an All India character of the Automobile Trade & Industry as a whole. Today the Federation has 33 Associations as its members on rolls in the country. The strength of the dealer members today affiliated through our associations is about 60, 000. The Federation started the practice of bringing out every month its Official Organ FAIASPDA Bulletin wherein day to day activities of its members and matters of interest relating to the automobile spare parts trade & industry within the country and abroad are published. The Federation also disseminates through its official organ the useful and important circulars relating to our trade & industry issued by the Government & semi Government & other departments, copies of which are sent to the dealer members affiliated to our Member Associations throughout the country free of cost. It has really proved a very useful media for the dissemination of the above information. The Federation has been rendering assistance in offering liaison between the spare parts dealers and various Government Bodies. It acts as a media to arrange import of motor vehicle parts and bearings etc. between the Member Associations and State Trading Corporations and/or other Government Organisations as also distribution of indigenous spare parts equitable in different parts of the country after negotiating with the All India Automobile &Ancillary Industries Association(now ACMA), Mumbai. The Presidents of the Federation have continued to be in various Councils and Committees formed by the Government like Development Council for Automobile & Allied Industries etc. and others. Besides, the Executives of the FAIASPDA are often invited to various meetings convened by the Central and State Governments. The Federation has also been often consulted by the various Government authorities with regard to various matters like customs duty, clearance of consignment by the port authorities and import & export etc. The constituent members of the Federation have contributed lacs of rupees as donation to the National Defence Fund at the crucial time of wars with China and Pakistan. It was very much alive to its basic duties and responsibilities at the time of Emergency in the country by maintaining price level of the spare parts and preventing any exploitation. Its Regional Associations contributed liberally towards Prime Ministers’ Relief Fund when as a result of natural calamity, was in the grip0 of unprecedented floods. Federation collects, compiles and distributes among the members datas relating to automobile industry and suggests ways & means to promote the trade. All possible efforts are made at the Federation level to eliminate the sale of spurious goods in the country. It endeavours to create well informed trade opinion on the urgent special enquiries and actions for securing redress of the legitimate grievances of the members are taken. It has bold plans of holding Conferences, Discussions, Seminars, Symposia and Lectures to find of automobile spare parts trade and to guide them with regard to quality and price and to find out answers to the urgent problems of the trade. It is convening to protect the interests of the small manufacturers. 1. First All India Motor Parts Dealers Convention on 10th and 11th April 1971 in New Delhi. (President: Late Mr. K.V.R. Rao). Chief Guest : Late Mr. Ram Niwas Mirdha, Minister of State for Home Affairs). Mr. M.M.Vadi, Sr. Industrial Advisor, DGTD delivered Keynote address. 5. Fourth All India Motor Parts Dealers Convention on 21st and 22nd September 1984 in New Delhi. (President : Mr. Prehlad Singh Chandhok), (Chief Guest : Late Mr. H.K.L. Bhagat, Union Minister for Information & Broadcasting, Gov t. of India) (Mr. B.S.V. 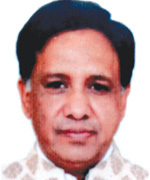 Rao, Industrial Advisor, Govt. of India, DGTD, Ministry of Industry, delivered Keynote address). All these above Conventions, Seminars, Conferences were attended by a large number of dealers, industrialists and other allied personalities of the trade & industry from different parts of the country. It evoked wide enthusiasm and response from all over the country. The Ministers assured their full co-operation in removing the impediments for the development of the automotive spare parts trade & industry. They also offered maximum facilities in their respective states if new industrial units for the manufacture of automotive spare parts are established. The Govt. had appointed the Jha Committee under the Chairmanship of Mr. L.K. Jha, Ex-Governor of Reserve Bank of India to go into the structure of the indirect taxation and suggest ways & means to rationalize the same. The Federation submitted the memorandum the questionnaire framed by the latter suggesting to unify the rate of sales tax throughout the country which should not be more than 6% in any case and it should be charged at source. With the spectacular growth of automobile industry in the country the Federation gradually rose to the occasion to meet up the challenges of the time and brightened its image. 5-	All India Motor Transport Congress, New Delhi. The matters affecting all wings of the Road Transport Industry are discussed freely and frankly and solutions found out to the satisfaction of all concerned. Since its inception i.e. 1962, the Federation of All India Automobile Spare Parts Dealers Associations has been playing a vital role for the development of not only for automobile spare parts trade but also indirectly in the interest of the automobile industry, ancillary industry, and road transport industry. 1. To enable the Motor, Scooter and Tractor Parts Dealers Associations located in various towns and cities of India, to become members of the FAIASPDA. 2. To enable the dealers of motor parts, scooter parts and tractor parts etc. all over India to federate and become members of Motor Vehicle Parts Associations within their area. 3. To promote and develop co-operation amongst the various Motor Motor, Scooter and Tractor parts Dealers Associations located in different parts of the country. 4. To promote and develop co-operation between the Associations of All India Automobile Manufacturers, Automotive Component Manufacturers Association of India and Federation of All India Automobile Spare Parts Dealers Associations and thereby coordinate the activities of these associations. 5. To promote the consideration of all questions affecting the automobile, scooter and tractor parts and allied trades and generally to watch over and protect the interest of the members. 6. To collect and defuse amongst the members information on all matters affecting the automobile spare parts trade and to print and publish, issue and circulate such papers, periodicals, books, circulars and other materials relevant, as may be seen conducive to any of these objectives. 7. To promote the distribution of products of ancillary industry through the dealers to all consumers throughout India by the members of the respective Member Associations. 8. To conduct Seminars, Conferences, Symposia, Conventions, Lectures and publish its official organ FAIASPDA Bulletin and make known to the public the activities of the Federation. 9. To provide to its members, statistical information pertaining to automobile and allied trade & industry and keep the members informed regarding latest developments and information of the industry. 10. To be in close touch and establish liaison with various instructions and organizations and govt. bodies connected with the development of automobile industry and trade and to carry continuous dialogues with the govt. 11. To make representations to lead delegations and to deal with the subjects that affects the automobile parts trade and industry and find ways & means of solving the problems and difficulties relating to subjects like taxation, import, export, procurement, distribution, road transport, industrial relation procedural delays, power supply etc. 12. To arbitrate for the speedy disposal of dispute and differences arising between the members or with outsiders. 13. To assist young entrepreneurs establishing small scale ventures of auto ancillary items. 14. To do everything and anything for and in the interest of the automobile parts trade. It can, therefore, be observed that the Federation of All India Automobile Spare Parts Dealers Associations acts as catalyst to harmonious relations between the motor pars trade on one side and the automobile and ancillary industry and the govt. including the public on other hand. The Federation of All India Automobile Spare Parts Dealers Associations (FAIASPDA is a non political and non profitable organization and is the representative body of the entire automotive spare parts trade & industry. The Federation was established in the year 1962 to provide a common platform for various automobile spare parts dealers Associations interest in promoting the growth, development, expansion and betterment of automobile spare parts trade in the country on sound and progressive lines. The FAIASPDA could with priority, claim to represent about 80% of the automobile spare parts trade in India in terms of volume of investment and turnover. It has through the respective Member Associations an affiliation of about 60,000 independent automotive spare parts dealers, distributors, wholesalers, retailers, service stations and even of automobile, motor cycle and tractor dealers. The function of the FAIASPDA falls generally into two parts – the formulation and expression of policy for trade on one hand and direct services to the members on the other. The FAIASPDA deals directly with the various Govt authorities and makes representations on matters of vital interest to the trade. The FAIASPDA speaks with initiatives: responsibility and authority on behalf of its constituent members. It also maintains close and cordial relations with the associations and institutions having similar aims. The FAIASPDA Membership Services and programmes presented here represent only a few of many vital jobs, the Federation for its members. The FAIASPDA assist the dealers in spare parts for motor vehicles, two or three wheelers, tractors, agricultural machinery, industrial, earthmoving and construction machinery, ball bearings through their associations, in solving most of the multifarious problems that maybe confronted by them due to disturbed industrial relations, lack of transport, import affairs, customs difficulties etc. and by giving them proper guidance and requisite information, if necessary, by taking up the matter direct with the appropriate Govt. authorities and institutions. The FAIASPDA undertakes special enquiries and action for securing redressal of legitimate grievances of the members, general information and guidance is provided by means of various circulars, bulletins, reports and other publications. The FAIASPDA collects and compiles and disseminates statistical data relating to automobile industry, trade, transports, roads, taxation and other matters affecting the promotion of trade. The FAIASPDA aims to hold seminars, conferences, meetings, symposia, lectures etc. to discuss day to day problems of the trade and to avail the benefits of matured experiences and sound advice of those who participate in them. The FAIASPDA sends its representatives to various bodies, councils or Committees constituted by the Govt. of India. It also sends its delegates on various enquiries conducted by the Govt. by the Govt. of India in relation to automobile industry or the transport and transport industry. The FAIASPDA endeavours to create well informed trade opinion on the urgent need for avoiding unhealthy business practices. The FAIASPDA promotes observance of the trade fair practices by the dealers and has evolved a code of conduct which is to be subscribed and followed by the member associations and through them by the member dealers. The FAIASPDA evolves guidelines for the trade to ensure that the consumer gets the parts at price fixed by the manufacturers. The FAIASPDA acts a liaison between various Govt. authorities, ancillary industry and member associations. The FAIASPDA aims to study the pattern of international trade on automobile and transport industry and to apprise the members of these trends. The FAIASPDA aims to take suitable action on any matter affecting the promotion of the trade & industry. The FAIASPDA aims at having a library where useful publications and reference books relating to automobile spare parts trade & industry, road transport, taxation, business laws etc. will be kept for reference and consultation of the members. The FAIASPDA acts as a media to arrange imports of motor vehicles, ball & roller bearings etc. between the member associations and State Trading Corporation and/or other Govt. organizations. The FAIASPDA aims to advance and promote the interest of small manufacturers of automobile spare parts trade and to give them proper guidance with regard to quality and price. The Federation aims to create an interest in merchants and small scale industry for entering into export. The essence of the Federation is innovation, development, progress and achieving betterment of the auto parts trade. The FAIASPDA is duly recognized by the Govt. of India as an All India Body of the Automobile Spare parts Dealers. 2-	Import of motor vehicle parts, fuel injection, spare and ball bearings from various countries for wide distribution throughout the country through dealers. The service so rendered was invaluable and highly appreciated by the transport industry and the motoring public in the country. 3-	Even though the Federation has not been able to achieve the one paramount desire in the hands of all the dealers for abolition of sales tax, it has been highly successful in influencing the Govt. policies to so shape the sales tax legislation and rules for its administration as to minimum the hardship and inconvenience to the trade. 4-	Similarly when the Packaged Commodities rules were introduced by the Go vt. of India, the Federation represented repeatedly to the Ministries the problems relating to the administration of the rules as they stood originally and hand quite a few modifications brought into. It is still engaged in having these rules modified further to cause less problems to the trade. Our fight shall continue till such time the trade is exempted from its purview. Our Federation was represented in the Development Council for Automobile Industry which was a high powered Policy making body for the orderly development of motor vehicle industry and the ancillary industry. The Federation of All India Automobile Spared Parts Dealers Associations is the Apex Body of the entire Automotive Spare Parts Trade & Industry, represent its 46 regional associations from the length & breadth of the country having in its fold more than 50,000 spare parts dealers. We are actively engaged in undertaking a constant study of the economics of the road transport and allied industries and we make special efforts to help improve the levels of services of all the allied trades & industries. We support and offer all possible assistance to the Government in furtherance of their objectives to keep the cost of the road transport at the lowest level fully appreciating that the transport charges adds to the cost of the goods and services and not to their values, and, therefore, thus essential infrastructure has to function effectively, efficiently, smoothly and with utmost economy. Members of our constituents are dealers in spare parts mostly self employed with limited resources and they are rendering a vital service to the vehicle owners(two wheelers, three wheelers, cars, commercial vehicles and tractors etc.) by meeting the requirements of parts and accessories. It came into being in the year 1962. The objects for which the Federation was established are, among others, to promote and develop the spirit of co-operation amongst the business houses dealing in the automobile spare parts and industry in India, to support and protect the interest of the trade as such and of importers, exporters, wholesalers, retailers and, above all, the consuming public. The Federation has established close relations with the various Central Government Ministries and other authorities who are being kept fully posted with the day to day problems confronting the trade and thus useful service rendered by the Federation to our trading community stands fully appreciated. Through the sustained efforts of the Federation and with the willing co-operation of all its members, the traded voice is heard with increasing attention at all levels. The Federation has actively discouraged the sale of spurious parts. We have formulated the fair trade practice code. Besides holding the price line and ensuring the standard quality items, the Federation has taken up the task of export promotion. It sponsored foreign tours for its members and help in the creation of export houses in major towns and lend full support to the exporting dealers. The Federation is alive very much to the question of sales tax, octroi, excise duty and has at many occasions supported the cause of the trade before the authorities. The Federation by itself cannot achieve much in this sphere and has to rely on the support of the entire trading community and the consuming public and one of the most effective ways is to hold Seminar & Conventions to highlight these points and also to mobilize public support and opinion for the purpose. The Federation campaigns vigorously in such matters and the achievements will certainly justify it. The general economy and the socio political situation of the country is in transitional period and all the business community has also to transform itself with the changing time. The Federation had an impressive past and has marched ahead steadfastly and is the future hope of the trading community and to fulfil it an integrated effort is required to achieve the aims and objects for which it stands. There is no gainsaying the fact that the road transport industry, which we assiduously serve, is of nationally vital and strategic importance. It is the only modern, quick, easiest and most economic agency of the transportation that can reach the far corners of our land and traverse it isolated terrain. It is the line on which the nation depends for the speedy display of essential commodities in the days of danger, drought, distress and not to mention the countless men & material moved all the time. In this great nation building endeavour, the parts trade plays not an insignificant role and is ever alive to the call or duty despite many obstacles.